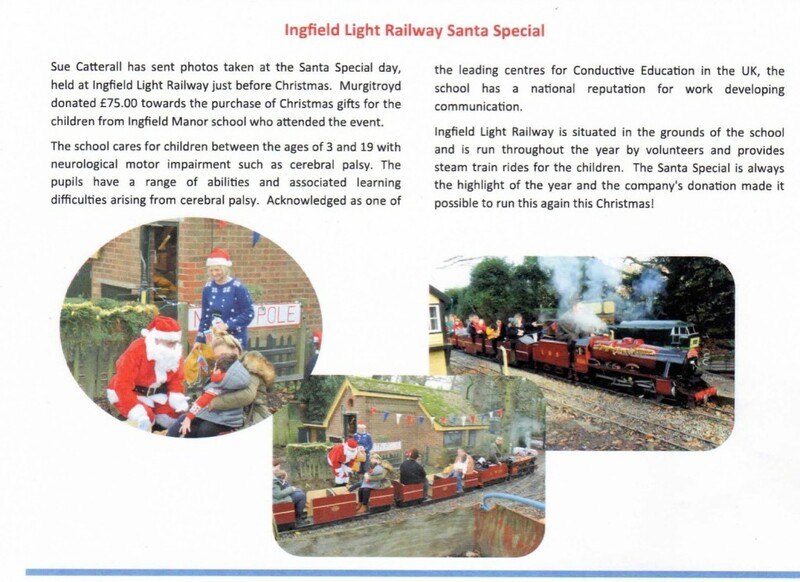 We have been sent this excerpt about the Santa Special that ran in December 2015 for the School, from the Staff Bulletin at Murgitroyd with full permission to share it with you. The Santa Special was a brilliant success, we are so glad to be able to run events like this for the children at the school. 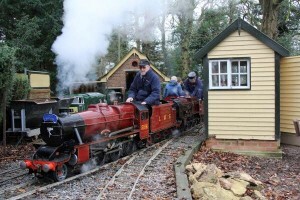 The bulletin reads: 'Sue Catterall has sent photos taken at the Santa Special day, held at Ingfield Light Railway just before Christmas. Murgitroyd donated £75.00 towards the purchase of Christmas gifts for the children from Ingfield Manor School who attended the event. The school cares for children between the ages of 3 and 19 with neurological motor impairment such as cerebral palsy. The pupils have a range of abilities and associated learning difficulties arising from cerebral palsy. Acknowledged as one of the leading centres for Conductive Education in the UK, the school has a national reputation for work developing communication. 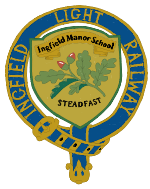 Ingfield Light Railway is situated in the grounds of the school and is run by volunteers and provides steam train rides for the children. The Santa Special is always the highlight of the year and the company's donation made it possible to run again this Christmas!' Thank you to Sue and Graham Catterall for supplying us with this lovely article, and to Murgitroyd for allowing us to share it with you. Welcome to our new revamped website, not all content is available to view yet but it will be in the next week or so. 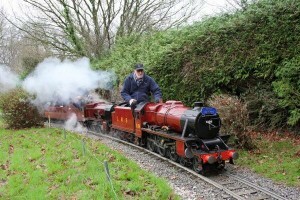 If you wish to submit any photos that you have taken at events at Ingfield Light Railway or have any queries about the website please email Rosanna James. New Years Day steam up 2016. 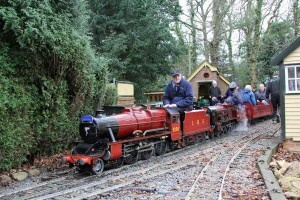 All of us at Ingfield Light Railway hope that everyone had a wonderful Christmas and New Year. 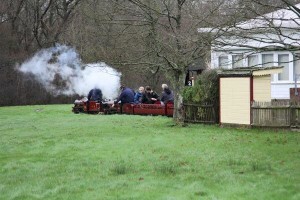 It is traditional at Ingfield Light Railway for us to have a steam up on New Years Day for a bit of fun. 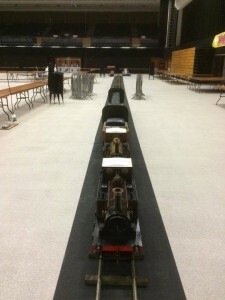 Here we have a few photos from the day, kindly sent to us by Peter Starks.